The Trusted Canada teams really has high goals and expectations- our aim is to be the middle man between buisness and consumer - and we want to help , and we want to reach as far and wide as we can with our marketing strategy to do that!! Each week Trusted provides tips on Global Saskatoon to help businesses achieve greater success with online and mainstream marketing, and to let them know what the public wants from them- and we also share consumer tips from the Trusted businesses who want to help the public . and make their lives easier!! Find them all on the TRUSTED CHANNEL on You Tube here..over 6000 Views and counting! Do you utilise Video in your marketing mix? Here are a few reasons why you should!! Saskatoon and Regina local Trusted Tips set the TRUSTED DIRECTORIES apart from any other! www.trustedsaskatoon.com and www.trustedregina.com are more than just the best Regina Directory and the Best Saskatoon Directory they are a growing resource library of Tips ..some provided by our Trusted Partners who really are THE LOCAL EXPERTS in their industries in Saskatoon...and some consumer and business tips provided by us here at Trusted S ! 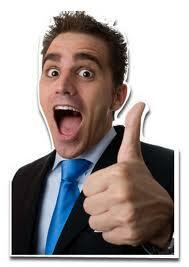 Lets face it ...if you can deal with the experts that share their knowledge freely...why would you go anywhere else? Trusted is here to work for you the consumer ...we want to save you TIME, STRESS and MONEY..Trusted does the research for the consumers ( probably much more thoroughly), so they don't have to.. The Trusted Team is absolutely THRILLED, Excited & Proud to announce that S & E Trusted Online Directory - the business that owns the www.trustedsaskatoon.com , www.trustedregina.com online directories and www.trustedcanada.com has just been announced as one of the 5 FINALISTS for the 2012 ABEX award for Marketing -These are the Saskatchewan Chamber of Commerce awards for excellence in business! Announcement of the 2012 recipients of the Hall of Fame and Business Leader of the Year will be made prior to the event. The Business of the Year ABEX Award will be announced at the event October 20th. Trusted would like to extend wishes to the other 45 finalists in all categories of the ABEX awards ( see full list here ) Congratulation and Good Luck ..we look forward to meeting all of you at theOctober 20th Gala in Regina..to celebrate excellence in business in the province of Saskatchewan ..it what we live and love!! Just like we said in our 30 page application - " We are driven to do what we are doing because the Trusted team believes we are doing a good thing- for business in the province as well as for the public….we are rewarding and promoting excellence in business from local Saskatchewan businesses big and small …and we are doing it because we BELIEVE in what we are doing ..and we BELIEVE in our Trusted Partners! www.trustedregina.com has now been launched to the public for over 3months and it is clear that the Regina Public appreciate the service....as the numbers for the first quarter show 1000's more people have been to the Regina directory than vistited the Saskatoon directory in its first quarter..
www.trustedsaskatoon.com has had over 30,000 unique visitors to the directory since it went live and over 90% of the visits have come from Saskatchewan...truly impressive numbers...active buyers looking for Trusted Businesses! A major reason why is the added value we offer the public with the Trusted Tips ..and the social media engagement ..we now have over 440 Trusted Regina Facebook fans , over 1200 Trusted Saskatoon Facebook Fans and over 1250 Twitter Followers , and growing daily! The Trusted Partners on board are forward thinkers, innovators and experts in the city and they understand that to make a difference in your business that offering ' just good service' doesn't cut it anymore..they offer remarkable service and they do that as standard. The Trusted partners have made a commitment to share their expertise with the public , and make Trusted Regina and Trusted Saskatoon not just the best place to source local businesses when you have a need...but also a place that is becoming a growing library of tips and resources over more than just the 40 categories we reach....Type ' Trusted Tips Regina' or ' Trusted Tips Saskatoon' into Google and you will see what we mean...or go to our 'Trusted Tips ' Library on the Regina directory or Trusted Tips on the Saskatoon Directory to read the well written, interesting and helpful tips our Trusted Partners have provided....or simply ' Choose a category ' from the list on the left of the the Blog page....we are more than just another Directory..we are THE Smart & Simple Choice ....and we work for YOU! The SASKATOON DIRECTORY and REGINA DIRECTORY of Trusted businesses..the smart & simple choice! Check out our You Tube Channel here for more tips and resources ..for Business owners and consumers alike! Why Dentists in Saskatchewan can NOT be TRUSTED. It is with much sadness and regret that the Trusted Team has had to remove the Dentist Category on www.trustedsaskatoon.com and www.trustedregina.com local directories. The analytic data from the 2 directories PROVES without a doubt that the public were looking for Trusted Dentists in Saskatchewan , and wanted an un-biased , consumer focused place to find them, that had more information about the dentists than the location and if they were expecting new patients, in fact some days in the last year DENTISTS was the MOST visited category on the directories! So whats the problem you ask? Bad Dentists? Scary Clinics? No Dentists in Saskatchewan that are up to date with the latest techniques? Trusted wanted to be an easy place for the public to find dentists in Saskatoon and Regina, that not only do a great job of the actual dentistry ( like most dentists in Saskatchewan we are sure!) but also to feature dentists that run a great businesses AND have amazing, friendly support staff. We were looking for clinics that had at least one dentists who is awesome ( ie: LIKE dealing ) with kids, and we found those that invested in beautiful clinics to wait and be treated in, and lets not forget, Trusted only contacted NOMINATED Dentists, who's clients (that nominated them) said they went over and above to provide outstanding customer service. Look, lets be honest, Joe ( or Jane ) Public don't have the time, money or inclination to go from clinic to clinic to find a dentist that meets their specific requirements...so we thought this is a good thing we are doing here for the public right? 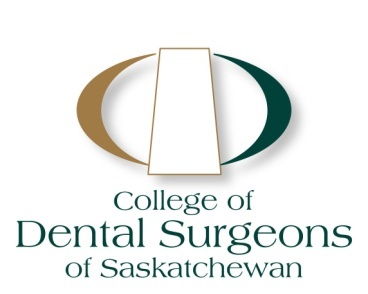 According to the Saskatchewan College of Dentistry, who, after discussing Trusted with it's board members deemed our directories to be NON Compliant with their code of advertising ethics! We are the only directory that has every advertiser contracted to uphold Guarantees of customer service and ethical standards, why the heck would you disallow Trusted? Trusted works FOR the publics best intrests, the College says they do, so whats the problem? Knowing that the advertising compliance from the college was very strict with Dentists in Saskatchewan, the dental listings from the get go were unlike any other Trusted Listings, they were basically very short, fact based listing showing the services , location and hours , and, just like we always do, we shared the testimony of a few clients WORD for WORD that we had spoken to as part of the Trusted Verification process and we shared a brief personal take on the clinics staff, careful not to mention the words BEST, HIGHLY SKILLED and other such grandiose adjectives when it came to talking about the dentists. Apparantly we caught someones attention, a competitor perhaps, as I can't imagine that a member of the public would complain about us providing Trusted Dentists at their fingertips? Before I knew it we were on the phone justifying Trusted's dentists category to Dr Bernie White the current President of the College of Dentistry in Saskatchewan. To Dr White's merit he did allow us an audience,and we held a meeting with him and 2 other staff members. The Trusted Data was shared and explained, as was our in depth verification and the Trusted Process. We wanted to appeal to the College on the behalf of the public, as when we asked our Facebook fans, all of them wanted to know more than the basics ( location, contact details and if they are accepting new patients ) that the college or other paid advertising provides, and most people looked at online reviews for direction, which we know can be sketchy at best! We left the meeting feeling some what optimistic. Dr Bernie initially wanted to know how we differed from other ' agencies ' like the BBB and 'awards' like the Consumer Choice Awards,which he said had 'heard of' . We do get asked this sometimes, but as we have such a strict and rigorous process of selection and verification compared to them ( compare if you will) we don't consider Trusted to be in the same boat, they sell memberships and awards, we take our time to find Partners that are right and we hold them to high standards consistently for ever! We walked away thiniking all went well, there were many positives- they really like how we connected with the public and provided tips etc. We were told that one dentists could NOT be seen to be giving oral health advice to the public, thats BAD and against compliance, as it suggests that the Dentist giving the tips is an expert. Apparantly that is not allowed. This is what was emailed to Dr Bernie White after hearing the decision.
" I have to admit I am confused. I left the meeting last week on the absolute understanding that removal of testimonials and revision of listings, made the listings absolutely compliant on the directories going forward. This makes it no different to any other directory, online directory or other advertising. In fact as the Trusted directories do not have the facility nor do I allow the public to leave any reviews, testimonials or ratings- anonymous or not ( like practically every other online directory on the internet that lists dentists in Saskatchewan) that it offers the most compliant and controlled `advertising` directory option online. You clearly stated that Dentists could not provide Tips to the public , nor could they be `experts`or BEST and unlike other industries listed on the directory they could not be guests on the Trusted Talk to the Expert shows on News Talk across the province. It was also pointed out that displaying the Symbol on 1 of the dentists listings ( Canadian Dental association) was non-compliant and would have to be removed. At the conclusion of the meeting it was suggested that the college may ask for it to be made clear that this is a paid advertisement in the listing and may even request that a link to the college be on each listing. This was not stipulated though, and I was expecting a communication to direct me on this at a later date. It was also discussed that perhaps having just one Dentist Group may be disagreeable to the College and the following options were discussed. b. For the college to take one of the listings for FREE and to use that listing to explain what the college does and to be the Trusted fans and followers and the public who used the directories ( 40,000 individuals across Saskatchewan thus far) dental resource – this would mean that the college would provide all the Dental `trusted expert tips` for the blogs we do and the college would provide an `expert `for the Trusted Talk to the Expert Shows. I was waiting for the final decision on these details before making any more changes and before communication to the public.."
Dr Whites comments were very clear " Thanks Sara. We have communicated with our members involved in the 'Trusted' websites and we wish to follow up further with you regarding our discussion last week. Following the discussion(July 12) we reviewed the matter and began drafting a letter for you and for the members involved. Enclosed is the letter for you dated July 16 that addresses this matter. We look forward to discussing further, with you, the concept of institutional advertising similar to the 'Ask the Expert' program. Regards, Bernie "
In fact he said " the 'Trusted' site is deemed non compliant because the word 'trusted' is misleading, confusing, and can't be objectively verified! " Trusted certainly will not be entering into an advertising relationship with the College, as we fundamentally disagree with their reasoning and find the fact that they don't Trust their own members to advertise in a professional and ethical manner to be in the worst possible and protectionist taste! Who are they trying to protect ? INTERESTING as the following information explains. Apparantly they are the BEST in local Dentistry in Saskatoon! Is that one rule for your Clinic in Saskatoon and one for all the other dentist in Saskatchewan Dr White? Hey, at least we had 3 spots available and we checked them out, showed you the evidence...PROOF..TRANSPARANCY. Trusted is an on the ground LOCAL business with owners and staff looking out for LOCAL people here in Saskatchewan, not an ad agency in Montreal! 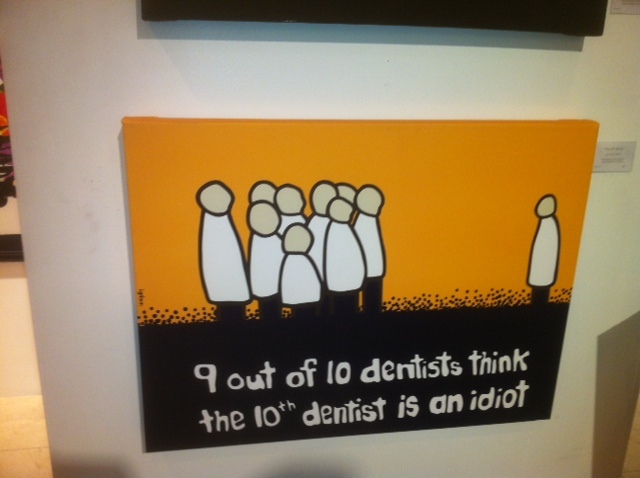 We saw this picture in a Gallery recently and had to share...it sums it all up really! FIND Saskatchewan Dentists we know to be Trusted, and not because they pay us.